If there’s one thing I like when it comes to makeup, it’s a good old matte finish. I’ve never bought into the “dewy glow” hype and I end up looking like a disco ball if I even attempt to apply highlighter. Matte suits me fine as it requires minimal effort and I don’t have to worry about looking like I shoved my face into a big bowl of grease. 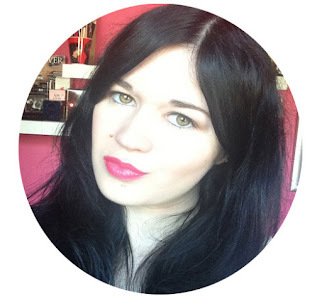 Despite my love for matte finishes, I seem to be lacking in a matte foundation. For some unknown reason I’ve been gravitating towards ones that have the dewy glow that never wears well on me so, as Summer supposedly arrived in Scotland, I figured I would finally invest in a decent matte foundation. I’m saying I invested in a decent foundation but in reality, I went on the Boots website and noticed they had a foundation called No 7 Beautifully Matte foundation so I bought it. There’s a strong chance I made this purchase during a time usually reserved for sleeping. Since I was buying the foundation online, choosing the correct shade was a difficult task. I figured “Cool Ivory” would be my best option but to be fair, I could’ve gone with any shade and it would be far too dark for me. The problem with drugstore foundations is their shade choice is always extremely limited which means ghosts like me are forever wearing the wrong shade. “Cool Ivory” is definitely a little bit too dark for me but I guess that’s to be expected when your skin is so light it glows in the sun. Shade woes aside, the No 7 Beautifully Matte foundation is a somewhat nice addition to my makeup drawer. It does provide the matte finish I so crave and it held up well during the week of warm weather that Scotland had. Granted, a few oily patches make an appearance throughout any typical day but they’re nothing for me to get truly worked up about. It also provides a nice medium coverage which is always preferable when my skin is going into meltdown. 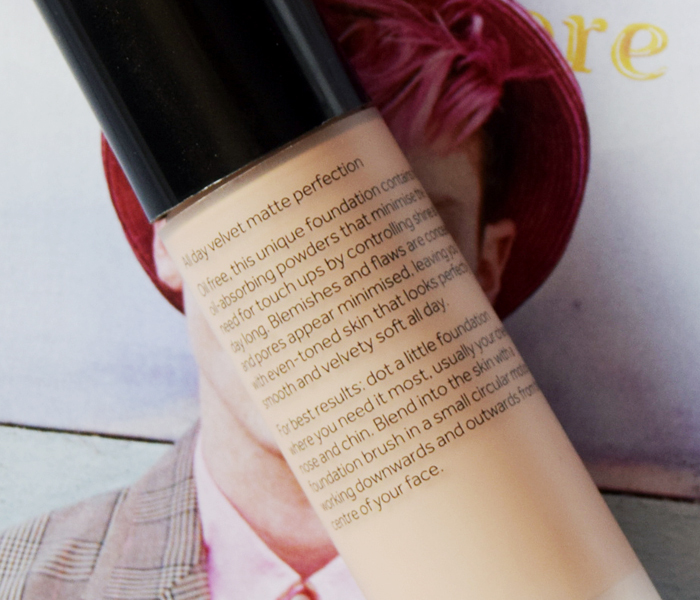 Sadly, though, the No 7 Beautifully Matte foundation isn’t perfect. I find it dries incredibly quickly so a fast application is required. Usually, I apply little blobs of foundation along my face and then blend but with this foundation, I have to work in small areas and blend as quickly as possible. The foundation also emphasises any dry patches of skin so I’m now acutely aware of dry skin I didn’t even know I had. It also has a tendency to accentuate pores if I fail to use a primer beforehand. 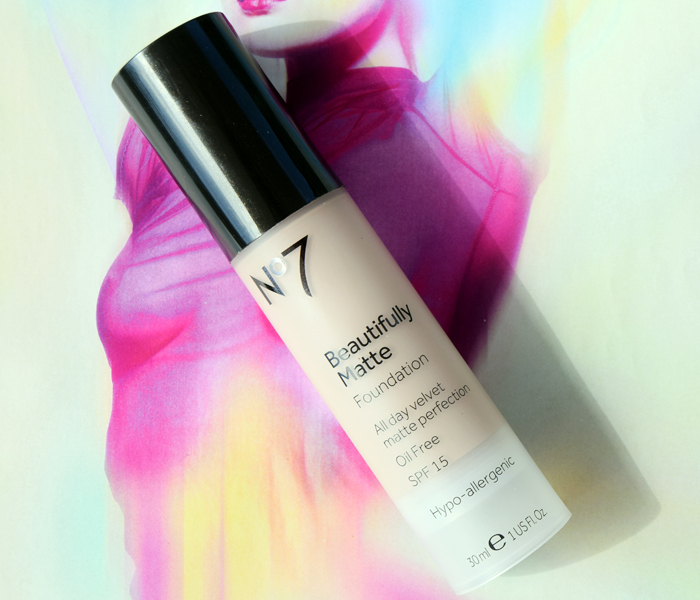 If the No 7 Beautifully Matte foundation didn’t settle into the dry patches that went undetected until I acquired this foundation, I’d happily put it on my repurchase list. I can live with having to blend quickly and ensuring I apply a primer beforehand if it means I get a nice matte finish but I can’t live with light orange patches on my skin. Sorry No 7 Beautifully Matte foundation, you’re good but you’re not that good. While I’m slowly but surely using up my Lush collection before making any unnecessary purchases, my other half hasn’t quite got the memo that we’re on a Lush ban. I turned him into a Lush lover and now he has a bad habit of buying things just because he can. I guess it’s not the worst trait a partner could have as he’s generous enough to get a few things for me. 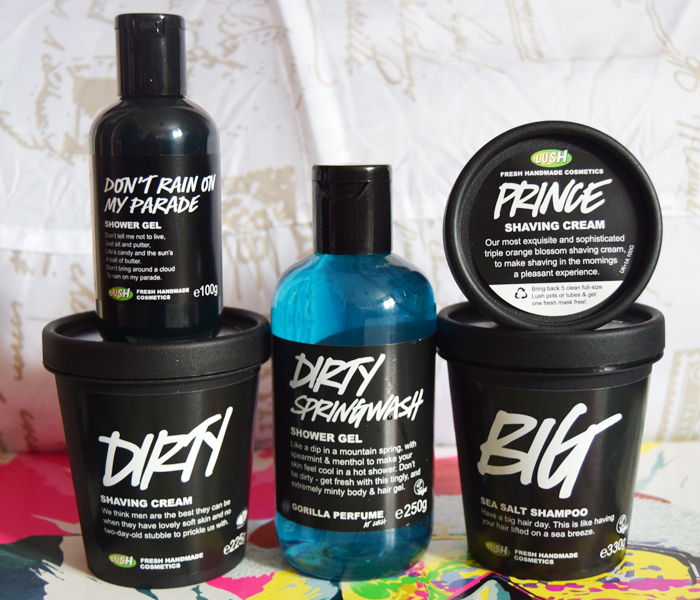 He has his Lush favourites so his recent haul featured a few repurchases. The thing that started this purchase off was his Dirty shaving cream was rather low. The beard growing genes in his family went entirely to his brother so my other half only has to repurchase Dirty every 8 months or so. 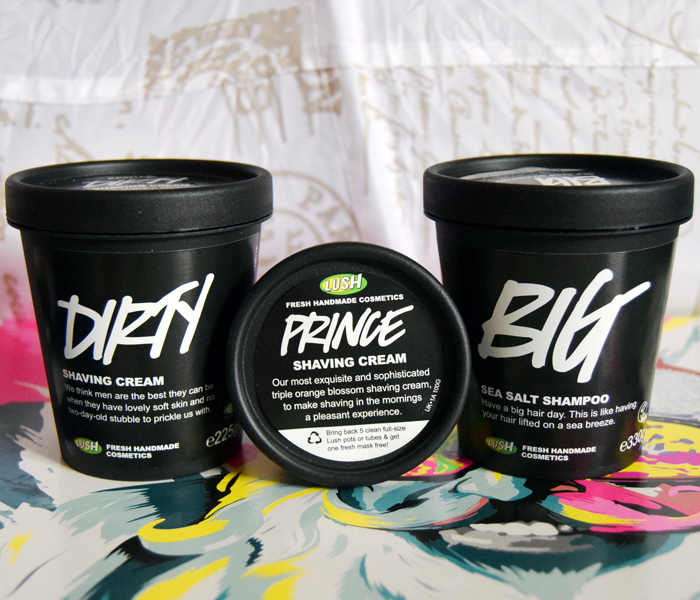 He’s also open to Lush experimentation so opted for a small tub of Prince shaving cream too. I think he just wants to pretend he has to shave on a regular basis but in reality, he can go weeks without shaving and no one will notice. Poor guy! My other half also thoroughly enjoys “borrowing” my tub of Big shampoo which results in it disappearing rather quickly. Fortunately, he was nice enough to add a tub of Big to his order but as he’s been using this while I finish the last of my Lush Ice Blue, I doubt I’ll get to see much of this tub. It’s the thought that counts. I think the man is a fan of anything that has “dirty” in the name when it comes to Lush as Dirty Springwash is a firm favourite of his. I would like to take credit for this one since I bought him a bottle of Dirty Springwash shortly after we got together (am I a good girlfriend or what). If the litre bottle of Dirty Springwash wasn’t so ridiculous I think he would’ve got that one instead of the adequate sized bottle. The last purchase on the list was the Don’t Rain on My Parade shower gel. This one was for me as I was reaching the end of my Lush The Comforter shower cream and my shower gel collection was no more. I went for Don’t Rain on My Parade as it sounded delicious on the website but I’m not actually sure how I feel about it now. It’s yet to be used but the scent is a little off-putting. Is it weird that my other half is now the one making the Lush purchases these days? I’ve been on the Lush ban for a while since my stash was getting a bit out of hand but now he’s enabling me. I’m not complaining, our skin is smooth as hell and we smell awesome on a regular basis. I guess we’re just going to be that Lush couple now.